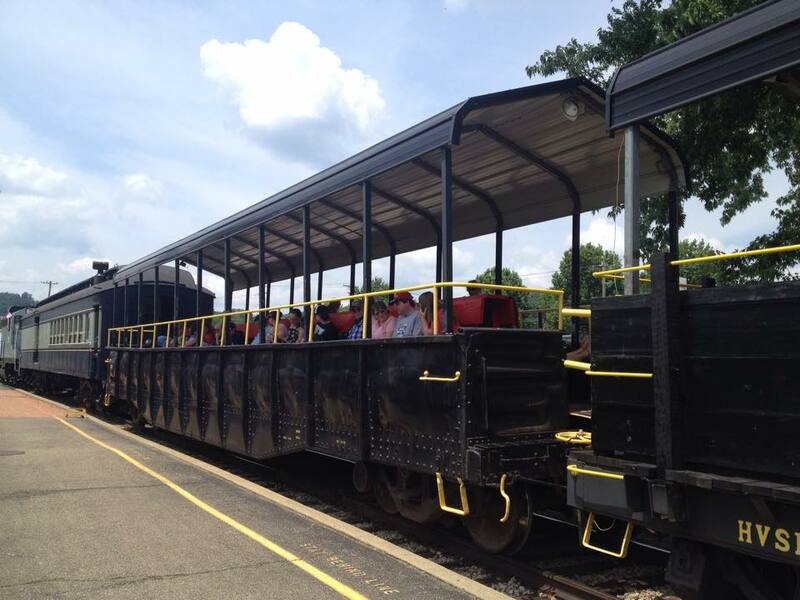 Hocking Valley Scenic Railway - Take a leisurely train ride through the Hocking Hills in a historic train. 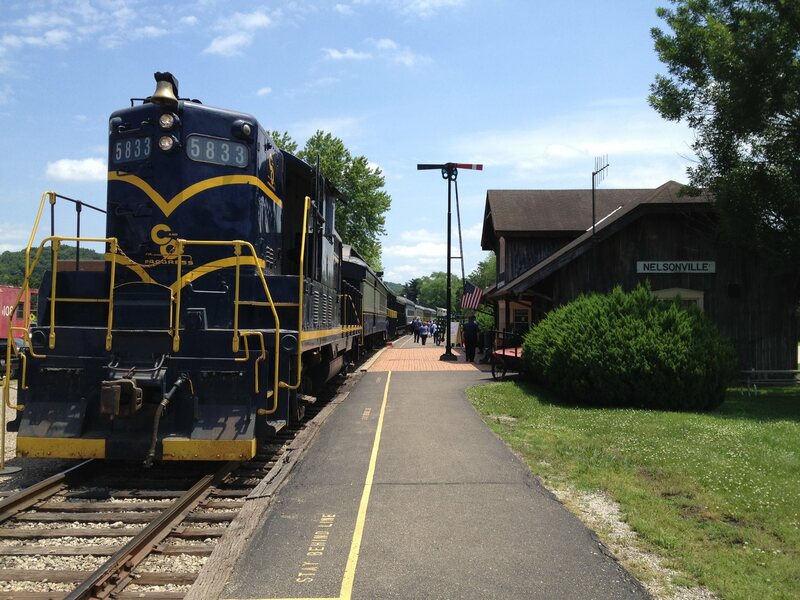 Trains depart Saturday and Sunday from the Nelsonville Depot on U.S. Route 33 and Hocking Parkway, next to Rocky Gear. 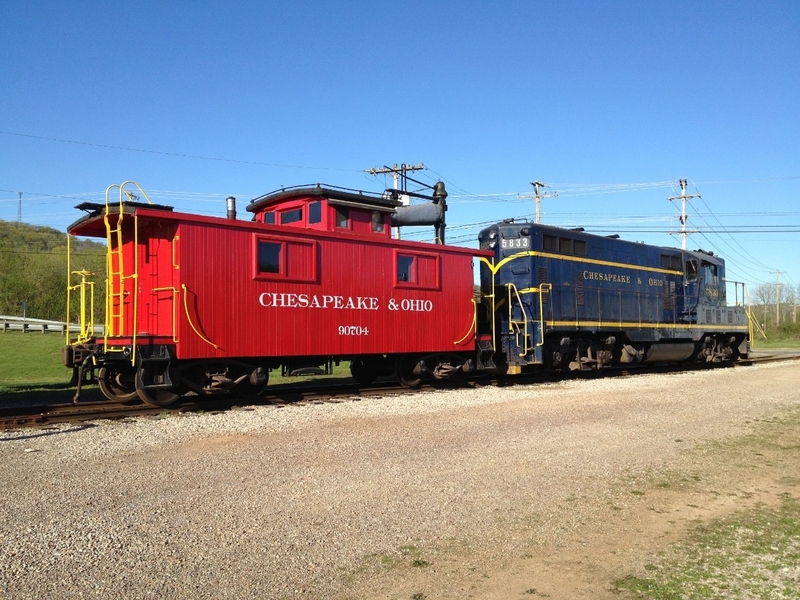 All regular trains Memorial Day weekend - October make a 30-minute stop at a pioneer log village. Special trains include Easter, Robbery, Fireworks Shuttle, Santa and New Year's Eve.